You lost your legal case and you are angry. After all, the progress of your case took years while legal costs mounted and now you may have to pay court costs, too. Who is to blame? Was your case really not strong or did your lawyer handle everything incorrectly? You may feel that your attorney did not perform well and question why he or she should be paid when you did not win. You may consider suing the lawyer for malpractice. While it is true that some lawyers commit malpractice by not adequately representing their clients, proving a legal malpractice case can be extremely difficult. It is hard for a client to knowledgeably and objectively judge whether the attorney’s performance was appropriate or negligent. Perhaps there is no profession that is the subject of as many jokes about greed and misguided ethics as the legal field. The truth is, however, that most lawyers adhere to a very stringent code of ethics. For Attorney Greg Brod, these principles are not just rules on paper, but represent a deeply personal commitment to ethical practice. He is proud to serve as a plaintiffs’ lawyer and, because he values his professional obligations, he also serves as a Northern California legal malpractice lawyer. 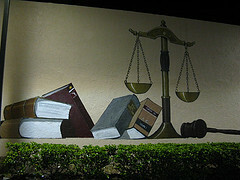 At the Brod Law Firm, we take cases of legal malpractice in California personally. On television, the least popular cops work in internal affairs. By the same token, one might expect us to hesitate, especially around other lawyers, to say we serve clients looking for a legal malpractice lawyer in San Francisco, Oakland, Santa Rosa, and other locations in Northern California. The truth is we’re very proud to practice in this arena. Legal malpractice is about ensuring lawyers do not practice with wanton disregard for our profession’s high standards. 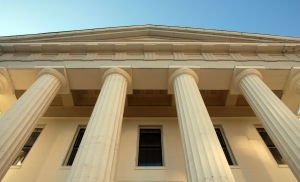 Today, we look at legal malpractice in California. We examine the elements of a successful claim, including the case-within-a-case concept, and look at one reason The Brod Law Firm is able to serve malpractice clients effectively and efficiently. Let’s begin with what legal malpractice is not. A meritorious legal malpractice claim is not triggered just because a “good” case was lost or a court rendered an unjust verdict. No lawyer can promise a certain result, in fact that itself might actually be malpractice. Legal malpractice does exist when a lawyer fails to provide professional services with the diligence, prudence, and skill that a reasonable lawyer would use in the situation. This standard applies to all non-medical professional malpractice actions and is detailed in California Civil Jury Instruction 600 (“[A/An] [insert type of professional] is negligent if [he/she] fails to use the skill and care that a reasonably careful [insert type of professional] would have used in similar circumstances.”). It starts in law school and continues at backyard barbeques and fancy cocktail parties. No one hears (or, truth be told, tells) as many lawyer jokes as lawyers, especially those in the personal injury arena. Our legal team has a sense of humor and appreciates a good joke, even at our own expense! However, it is upsetting to hear so many jokes about attorney ethics. Like most in our profession, we take our ethical duties very seriously. These duties include obligations to both clients and the court system and are reinforced by state bar requirements. We also take breaches of these duties seriously and believe strongly in our work representing victims of legal malpractice in Sacramento, San Francisco, and throughout Northern and Central California. Attorneys in California and throughout the U.S. owe their clients a number of duties, including a general duty to act ethically in representing the client and a duty to act in the client’s best interest. Many of the duties stem from the attorney’s role as a fiduciary. The general duties also translate to many specific duties such as the duty to avoid conflicts of interest, provide competent legal service, keep client funds separate from the attorney’s own monies, and follow a client’s direction in handling the client’s legal matters (assuming the directions are legal). Attorneys must also communicate promptly and thoroughly with the client, providing all relevant information to help guide the client’s decisions. At Thanksgiving, and truly throughout the year, our Northern California plaintiff’s law firm is grateful for the clients who trust us to help them through what is often one of the most challenging times in their lives. We know you have choices in legal representation and we know that selecting a law firm is a very serious decision. When you engage our services, we make a commitment to serving you with top-notch legal representation, keeping you informed about the progress of your case, and partnering with you as a true teammate. We will respect you and work hard for you, never forgetting the large amount of trust you are putting in our hands. In addition to representing people injured in a range of accidents, the Brod Law Firm also serves as a San Francisco legal malpractice law firm. Our legal malpractice work follows out of our basic values and our belief that attorneys owe a high level of duties to their clients. In the malpractice field, we work with clients whose previous counsel mishandled their legal work, either due to a grievous error or a breach of the attorney’s professional duties. Attorneys are fiduciaries and owe their clients very specific fiduciary duties as well as additional professional obligations. At The Brod Law Firm, we take our responsibility to our clients seriously. Clients should be able to trust that their legal counsel is trustworthy and will always operate in the client’s best interest. In addition to serving our clientele in an ethical manner, we help people who have been harmed due to legal malpractice in San Francisco and other Northern California communities. The Oakland Tribune reported this week that the State Bar of California recommended disbarment for Walnut Creek attorney Eugene Hannon, also a decorated Vietnam War veteran, after finding he misappropriated over $28,000 of client trust funds for personal use. 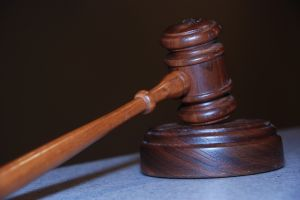 Hannon represented the father of three, who agreed to deposit $55,000 into a trust for the children as part of a dissolution agreement for an unmarried Alameda couple. The man sent Hannon more than $28,000 in monthly payments during 2007, money that the minor children expected to put towards their college educations. According to the Judge Lucy Armendariz’s ruling, Hammond spent the money on himself rather than placing it in the trust. In addition to misappropriation, the court found Hammond culpable of three counts of moral turpitude for overdrafting the trust account, bouncing three checks, and lying to the mother’s counsel by saying that he hadn’t spent the money. Hannon admitted to much of the alleged behavior but said he was careless and did not intentionally spend the trust funds. He claimed that a number of health and mental problems contributed to his behavior. According to his attorney, he suffers from Post-Traumatic Stress stemming from his service in the Vietnam War from 1966 to 1969. Hannon nearly died from an intestinal blockage and suffered additional stress due to a house fire. Other health woes cited as causes included alcoholism and depression. Despite the cited woes, Hammond had a clean record for more than 28 years as a litigation attorney. James E. Towery, Chief Trial Counsel of the California State Bar, issued an alert to victims of the San Bruno Explosion sand Fire last week, noting that it is both illegal and unethical for an attorney, or for someone working on an attorney’s behalf, to make unsolicited contact with a potential client. The State Bar recognizes that people who have been injured, or whose family members have been injured, are particularly vulnerable, and may not be able to exercise reasonable judgment. 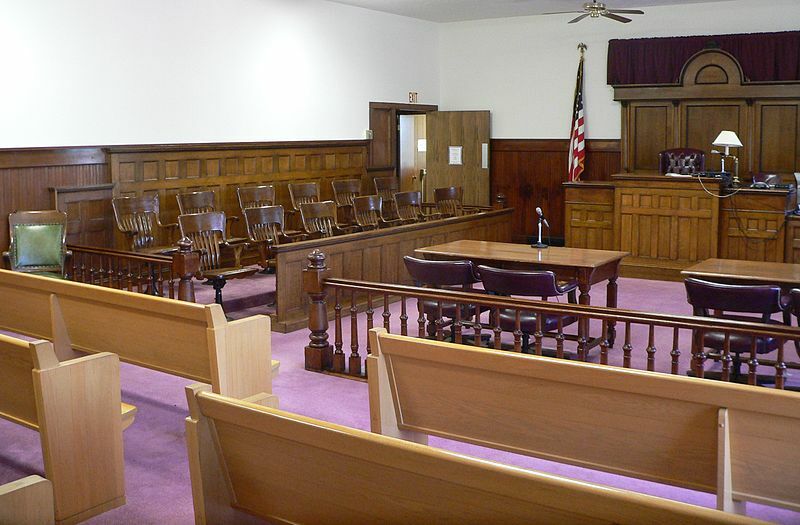 Selecting an attorney is an important decision that requires careful thought and consideration. If someone in a vulnerable state is the subject of an unsolicited contact, they may not be in the best state of mind to make the important decision as to who is best suited to help them with their legal needs. At the Brod Law Firm, we are San Francisco Injury Attorneys and San Francisco Legal Malpractice Attorneys who recognize that the rules and policies set forth by the California State Bar are designed to protect the clients. Though it is occasionally forgotten by some lawyers, we believe that protecting clients’ interests is the most important aspect of being a lawyer.